Just few steps away from Ayoba Santorini you can view Skaros Rock. The views are breathtaking and are literally a treat to ones eyes. Skaros was inhabited in medieval times and one of the five fortified settlements in Santorini and the most important one (it offered protection from pirates). You can go hiking to Skaros and Ayoba Santorini gives you some interesting information. Santorini (Thira) continues to be one of the most popular destinations and has made it onto peoples bucket list worldwide. We have been privileged enough to enjoy this magical location from its rugged terrain, to mysterious volcanic geological formations, to quaint villages and traditions with their unique architecture and the mesmerizing Aegean views! You just arrived in Santorini and only have few days to explore this magnificent Greek Island! Where to go? What to do in just few days? Ayoba Santorini has developed a quick guide for you. 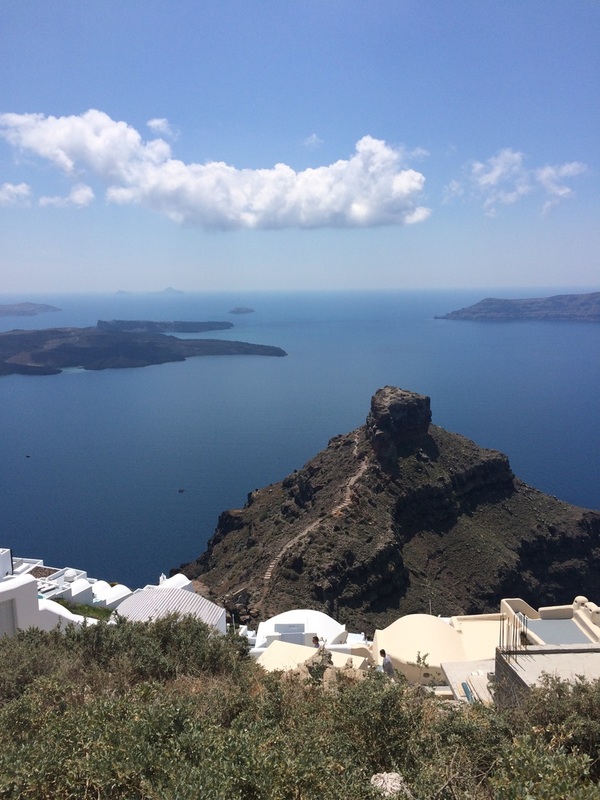 Santorini, Greece is an unquestionably beautiful island, but you can take the island experience up a notch, from beautiful to breathtaking, by hiking the ancient footpath from Thira to Oia. Start just before sunrise and meander the ancient dirt and cobblestone path, which is perfectly nestled at the cliffs edge, providing breathtaking views of the caldera. Did you know that the whole complex of Santorini islands is still an active volcano (the same as Méthana, Mílos and Nísiros) and probably the only volcano in the world whose crater is in the sea?